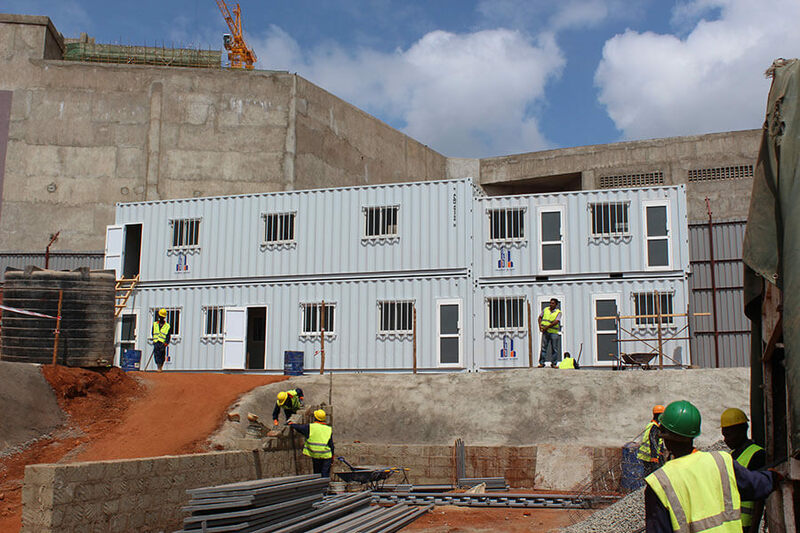 When Parbat Siyani Construction was awarded a large tender for a major construction project involving the prestigious City Lodge Hotel in central Nairobi, they decided they would need container offices to be able to accommodate the expert team leading the project. 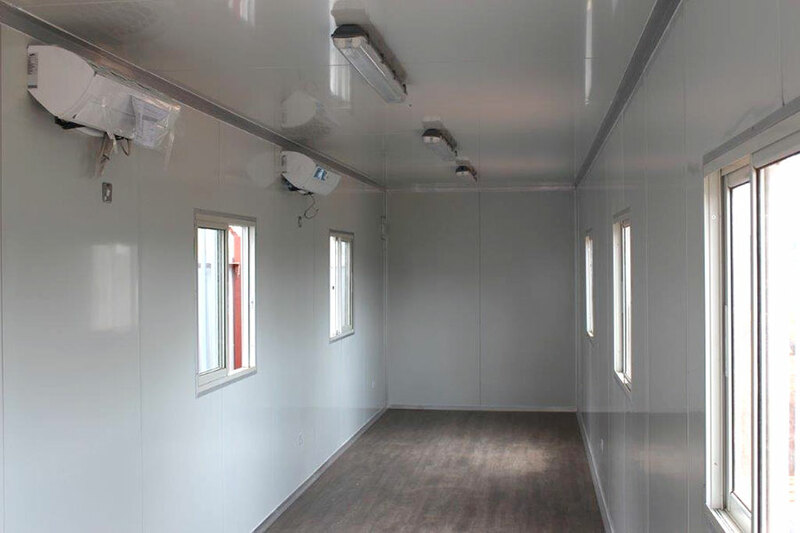 Registered by the Kenyan Ministry of Roads and Public works as a category A class of contractors, Parbat Siyani Construction opted for Almar container offices that would address all their needs. These ranged from vital security to absolute comfort within a budget that met their needs. The building site was in a very high-density area in Nairobi and so there was very little space available for site offices. The area was not considered to be safe, so security was a huge concern. They needed a turnkey solution that could be delivered quickly. They needed every type of facility a top quality office environment would normally offer, from boardrooms to ablutions. 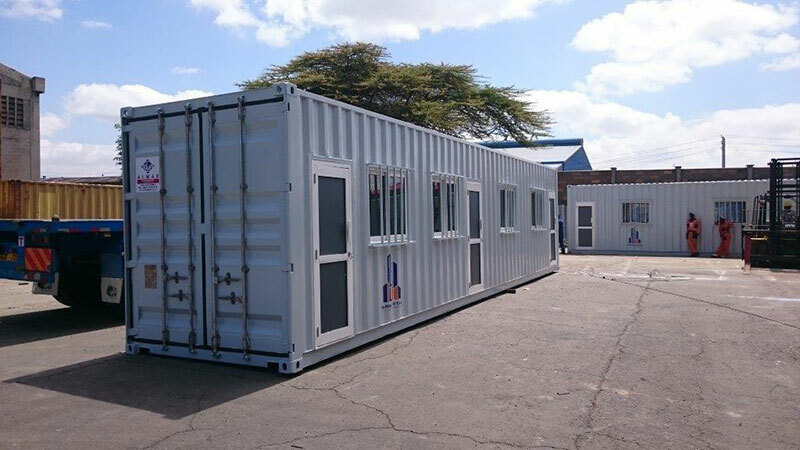 Well known for their ability to provide high-quality remote site accommodation and container offices in Africa and the Middle East, Almar’s project team in Nairobi seized the opportunity to meet the Parbat Siyani challenges. Because shipping containers are available in different sizes, and they can be used as modular units, the Almar design team opted to use a selection of different sizes, some of which were used together to form a simple but effective double-storey configuration. In all, the project incorporated a total of about eight containers. Doors and windows were fitted before the container offices were moved to the site. 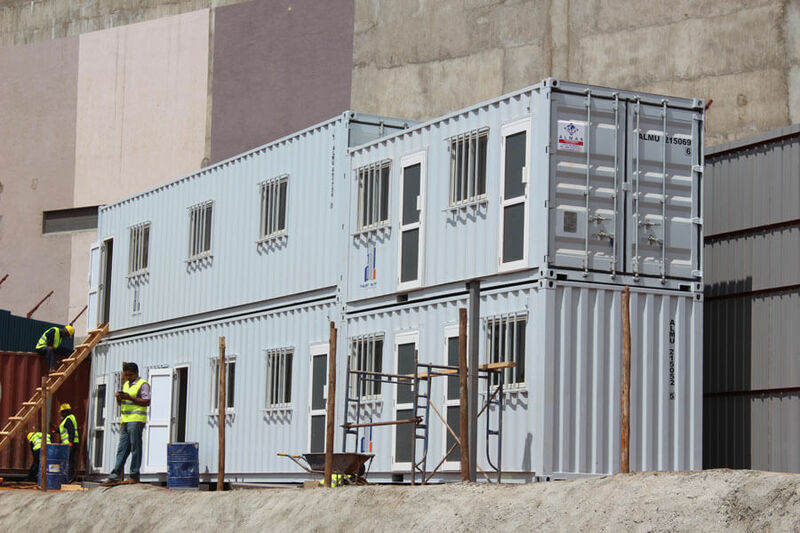 The layout and double-storey design of the containers ensured that they took up minimal ground space, which in turn would guarantee there would be no interruption once development and construction started. The quality finishes inside the container offices included laminate flooring, high-quality lighting, and air conditioning, ensuring that the working environment really was world-class. 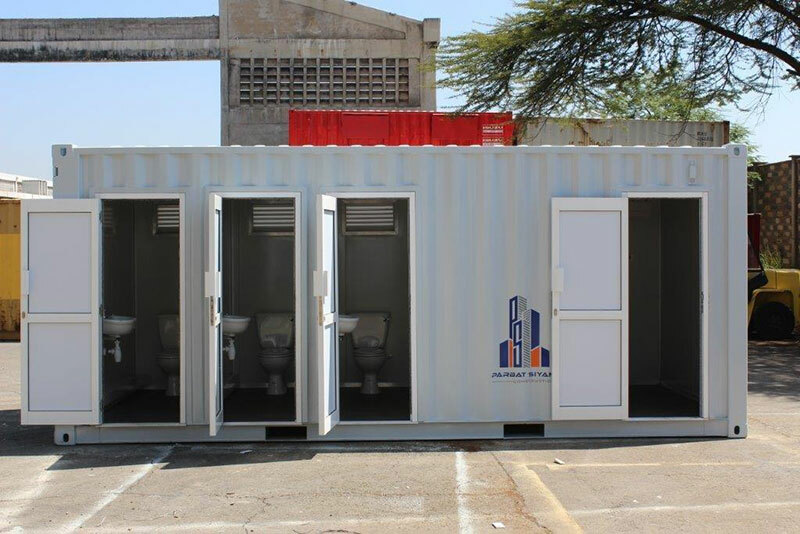 In addition to the site offices, boardrooms, kitchen, and essential ablution areas in the Kenyan container offices, the Almar solution for Parbat Siyani also incorporated a critical access-control container. This shipping container was designed and located so that security staff could search anyone before they were given permission to enter the site. All the container offices were also provided with robust security windows and doors for added safety. 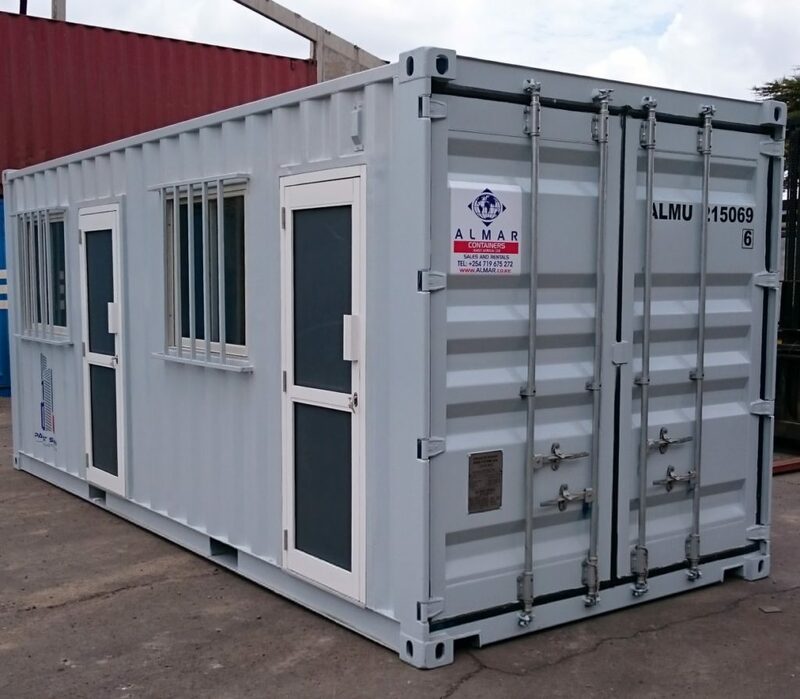 Whether you need world-class container offices in Kenya, Uganda, South Africa, or the Middle East, Almar can help you fulfil your unique on-site needs. Contact us to see what we can do for you and your company.